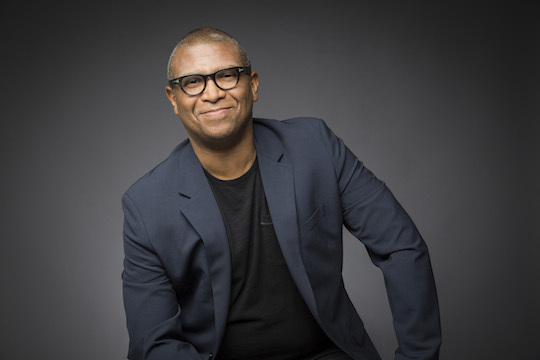 Los Angeles, CA – Reginald Hudlin will produce the 6th Annual Governors Awards for the Academy of Motion Picture Arts and Sciences, Academy President Cheryl Boone Isaacs announced today. The Jean Hersholt Humanitarian Award will be presented to Harry Belafonte, and Honorary Awards will be presented to Jean-Claude Carrière, Hayao Miyazaki and Maureen O’Hara, on Saturday, November 8, at the Ray Dolby Ballroom at Hollywood & Highland Center®. “With Reggie’s experience, unique vision and immense creativity, the evening celebrating those who have given so much to our industry is certain to be a memorable one,” said Boone Isaacs. "I’m honored to be working with the Academy again,” said Hudlin. “The collective impact of this year’s Governors Awards recipients on the evolution of cinema is immeasurable. I’m a fan of all four of these legends, so producing a celebration of Ms. O’Hara’s performances, Mr. Carrière’s storytelling, Mr. Belafonte’s dedication and Mr. Miyazaki’s magic is a pleasure." A writer, director, producer and pioneering entertainment executive, Hudlin received a Best Picture Oscar® nomination as a producer of “Django Unchained.” His feature directing credits include “The Great White Hype,” “Boomerang,” and “House Party,” which he also wrote; he also has directed episodes of such popular television series as “Psych,” “Modern Family,” “The Office” and “The Bernie Mac Show.” Hudlin recently produced “The Academy Celebrates the Black Movie Soundtrack” concert at the Hollywood Bowl and has executive produced the NAACP Image Awards show for the past two years. He is a member of the Academy of Motion Picture Arts and Sciences, Directors Guild of America, Writers Guild of America and Screen Actors Guild, and serves on the executive board of the UCLA School of Theater, Film and Television.